Across Africa, significant health improvements have been made in recent years, with a dramatic rise in life expectancy and impressive declines in child mortality. However, significant health challenges remain for 1.2 billion people living across the continent – a region that shoulders some of the world's heaviest infectious disease burdens, from malaria, to HIV, to neglected tropical diseases. Out of the 36.7 million people with HIV worldwide, nearly 70 percent live in sub-Saharan Africa, and the region has 90 percent of the worldwide cases of malaria. Adding further complexity and complication, these diseases – and broader healthcare in general – are closely interconnected with the socioeconomic context: more than 60 percent of people in sub-Saharan Africa live in rural areas where access to healthcare is limited, and limited health systems and broader infrastructure continue to pose challenges. This is where Abbott's life-changing technologies, and a commitment to pioneering collaboration, can help make a difference. Across Africa and around the world, Abbott's rapid diagnostics business is helping to meet critical health needs. Here are just a few examples of how we are delivering shared value by creating innovative technologies to help meet the challenges of low resource settings often found in developing countries. Abbott's rapid diagnostics business is focused on delivering the right care, at the right time, with a comprehensive portfolio of tests that provide fast, reliable and actionable information at the point of care to help enable better clinical and economic health outcomes. This work is squarely aimed at two things: creating pioneering testing technologies that meet critical, unmet health needs, and specifically designing and manufacturing these technologies for use in challenging, resource limited settings. In Africa, this is delivering significant social impact by providing governments, healthcare workers, non-governmental organizations (NGOs) and communities with affordable, portable and rapid diagnostic tests that provide results quickly. We design our products to be used in remote and rural areas, including analyzers powered by batteries and compact for transport on motorbikes and in canoes. 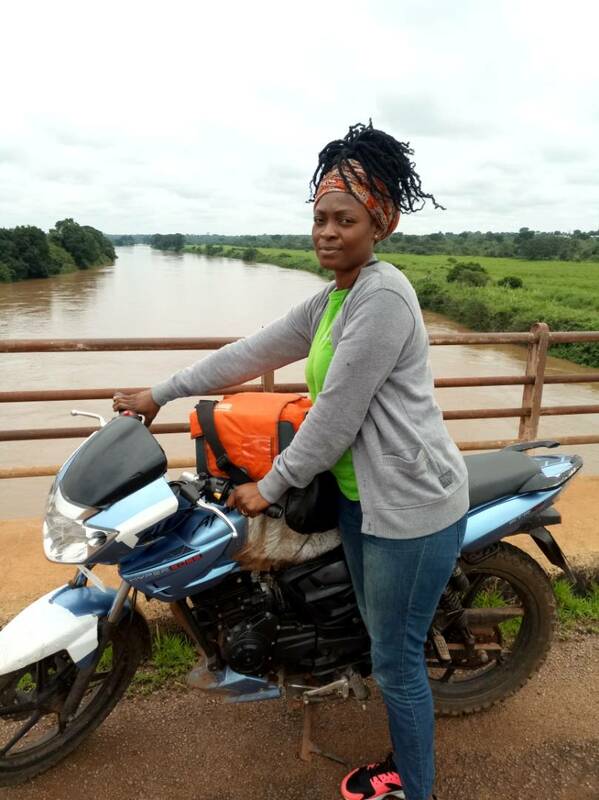 Abbott's rapid diagnostics business brings innovative testing technology to rural communities across Africa – including analyzers that can be carried on motorbikes or in canoes. By bringing forward targeted new innovations, Abbott has become the market leader in rapid diagnostics across the continent, and globally. Over the past decade, Abbott's rapid diagnostics business in Africa has grown more than tenfold. One recent example of this innovation is in the diagnosis of malaria. The disease could be eliminated if everyone who carries it was tested and treated. However, until recently, no test existed that could reliably detect the disease in people without symptoms. In these patients, the levels of malaria parasites in their blood are so low they could go undetected. This means they could also go untreated, and mosquitoes could continue spreading the disease. The Bill & Melinda Gates Foundation has identified diagnosis of low-density malaria infections as a key element of disease elimination. With support from the Gates Foundation, PATH and the Foundation for Innovative New Diagnostics (FIND), Abbott developed a new test that is 10 times more sensitive than earlier tests. This means very low levels of parasites can be detected, potentially allowing more people to be diagnosed and treated. Today, the test is available to public-sector programs in low resource settings for under one U.S. dollar – expanding access to a critical tool for programs focused on accelerating malaria elimination. Another example is in HIV. Abbott offers rapid diagnostics that span the continuum of HIV care, from screening and diagnosis to ongoing disease monitoring and management. In sub-Saharan Africa, we currently supply the vast majority of HIV screening tests to fight the disease, as well as monitoring and management tools to help ensure patients receive the treatment and care they need. We've built this market leadership by bringing forward new innovations that help to meet critical gaps, such as early infant diagnosis (EID) of HIV. Time is of the essence when diagnosing HIV in infants, because nearly half of HIV-positive babies who don't receive timely treatment die before they reach the age of two. However, most testing technologies for infants are limited to large hospital labs and take days or weeks for results – keeping needed testing and care out of reach for many. Abbott solved this challenge by creating a molecular HIV test for EID at the point of care, with results in less than one hour. Mothers often travel many miles to bring their babies for a doctor's visit, so being able to provide same-visit results is essential. It has been shown that delivering same visit results directly enables faster access to HIV treatment. For more information on how this technology is helping rural communities fight HIV and save infants' lives, read a blog post by Chip Lyons, the CEO and President of the Elizabeth Glaser Pediatric AIDS Foundation (EGPAF), the global leader in the fight to end AIDS in children. His story captures the human impact of life-changing tech – first and foremost, helping people affected by disease, but also benefiting the dedicated healthcare workers who now have the tools they need to help save lives. Abbott also is advancing shared value in other ways as well — to find out how we're helping empower dairy farmers and strengthen our nutrition business in India, click here.